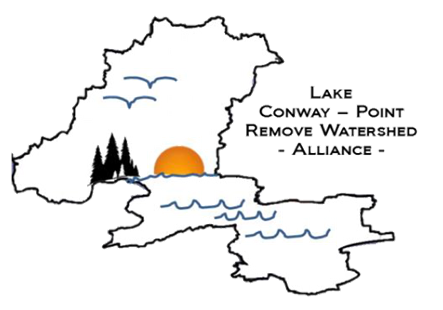 Want to learn more about the people and organizations making an environmental impact in Conway? Find them here! The Locals is a creative placemaking organization that strives to bring people together to make Conway a more creative, unique and vibrant place to live. The Public Art Board strives to encourage an artistic Conway through the creation, acquisition, and/or display of community-centered art. The Lake Conway Point Remove Watershed Alliance is dedicated to working with individuals, groups, and governmental agencies to educate and promote the importance of the watershed, and to develop and implement plans to restore and enhance the integrity and quality of the watershed for present and future generations. What does your organization do to make an environmental impact on Conway? Thank you! Please send us your logo at hello@conwayecofest.com.